Ukraine has developed a 155mm advanced wheeled self-propelled howitzer (SPH), called the Bogdana. 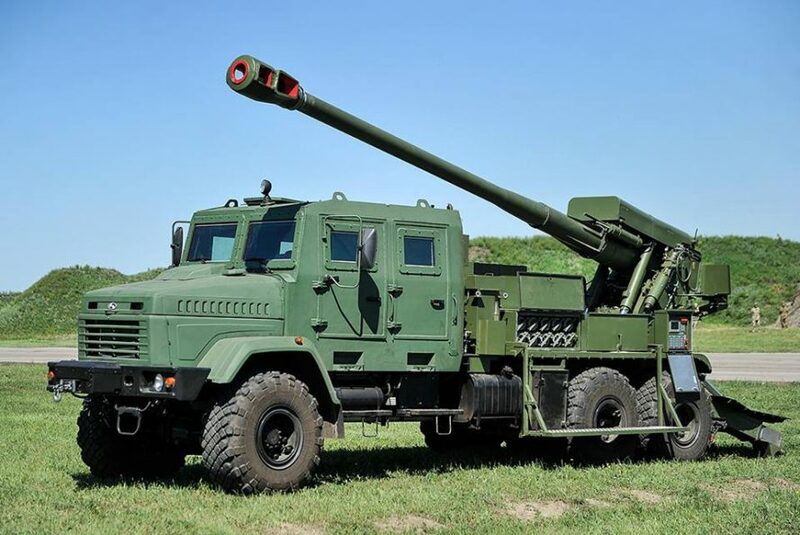 The new self-propelled artillery system was intended to destroy command posts, armoured and mechanised units, artillery batteries, communication posts and field fortifications. The Bogdana self-propelled artillery system is mounted on a KrAZ 6×6 high-mobility truck chassis, manufactured by Ukrainian “AutoKrAZ” industrial company. The new artillery system is fitted with a modern fire control system consists of a ballistic computer, a gun system computer. The display of the main fire control computer is located in the armored cab, however, there is also a gun display unit at the rear. It is used by the crew when the howitzer is deployed in firing position. Is expected that new artillery system will have a minimum range of 780m and is capable of hitting targets at ranges up to 40km (50 with new-developed rounds). “Ukraine has a new powerful weapon”. This was stated by Secretary of the National Security and Defense Council of Ukraine Oleksandr Turchynov at the Zhytomyr proving ground of the Armed Forces of Ukraine. According to Secretary of the NSDC of Ukraine, a new 155-mm self-propelled howitzer is being tested. “Its crucial characteristics are high mobility, precision, range capability, and high speed of fire”, – he emphasized adding that special ordnance can hit the target at a distance of up to 60 kilometers. 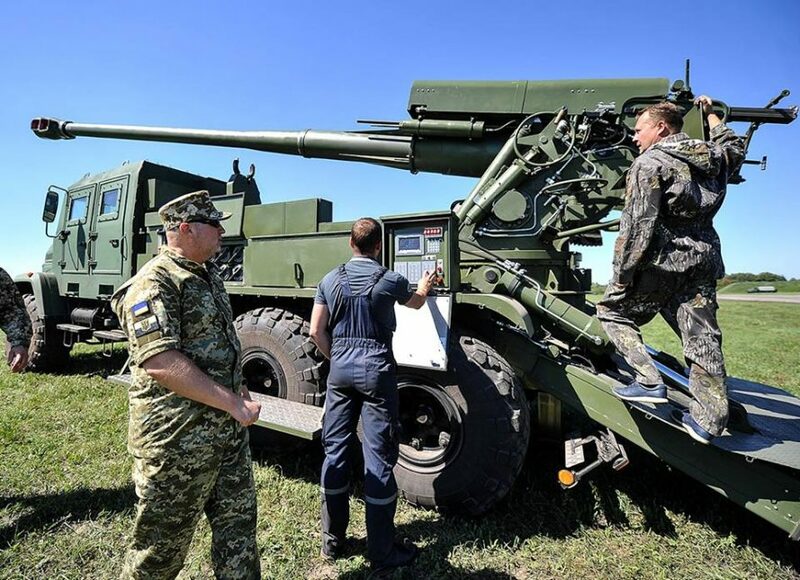 Mr. Turchynov also noticed that the new self-propelled howitzer “has the NATO 155-mm caliber”. “There were no weapons of such caliber in our Armed Forces, neither were they in the Soviet Army nor does it exist in the modern Russian army”, – Secretary of the NSDC of Ukraine. He added that both the gun control system and the technology for its production at the Ukrainian defense enterprises meet the NATO standards. “The weapon got a very beautiful feminine name “Bogdana”, and I advise the enemies of Ukraine to memorize it well”, – Secretary of the NSDC Ukraine summarized.